On Sunday the cars gather for general viewing and petrolhead lusting. 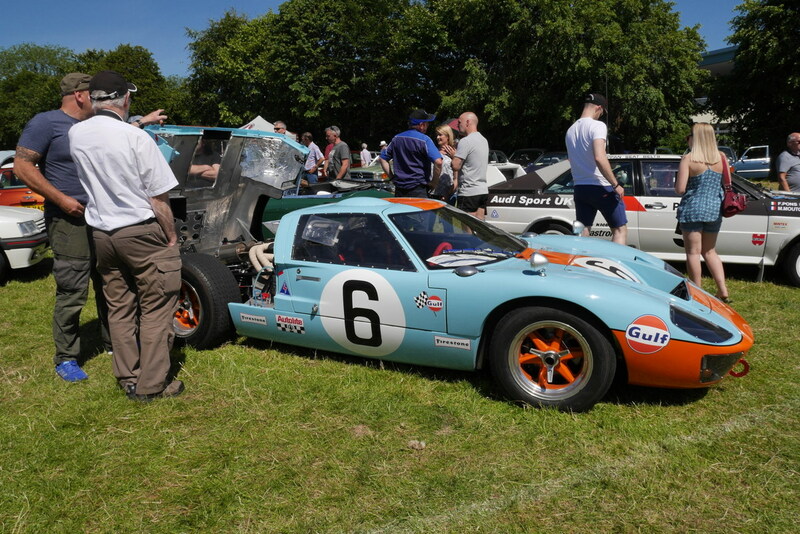 Here’s a GT40 on the most perfect summer day in Moffat. You may spot the Audi Quatro Group B spec rally car behind. 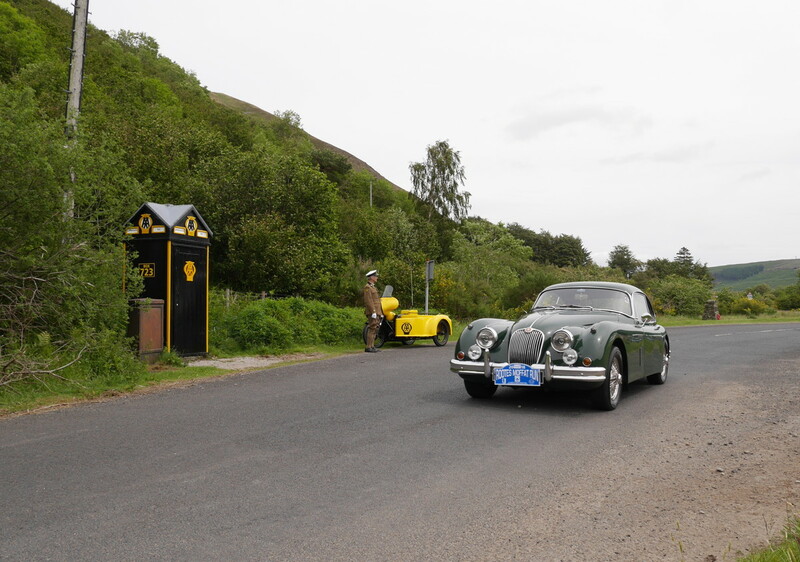 Yesterday the classic cars were on a route through the Borders that invariably includes passing the famous AA box at Cappercleuch. A classic AA man was also present! In the 1960s AA members had a key for the box and could phone for breakdown assistance. Ours is one of a very few left though none of them perform their original function. 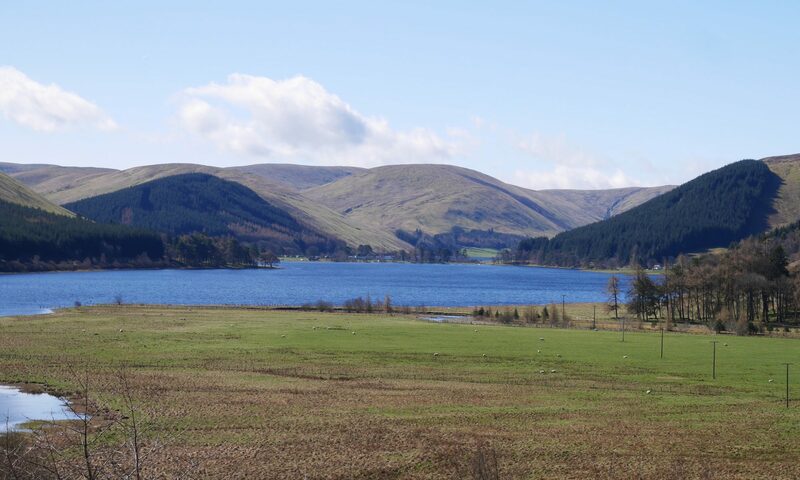 If you weren’t at St Mary’s loch over the past week then you missed yourself! ( to non Scots that simply means you missed having a lovely time… in this instance due to the great weather.) 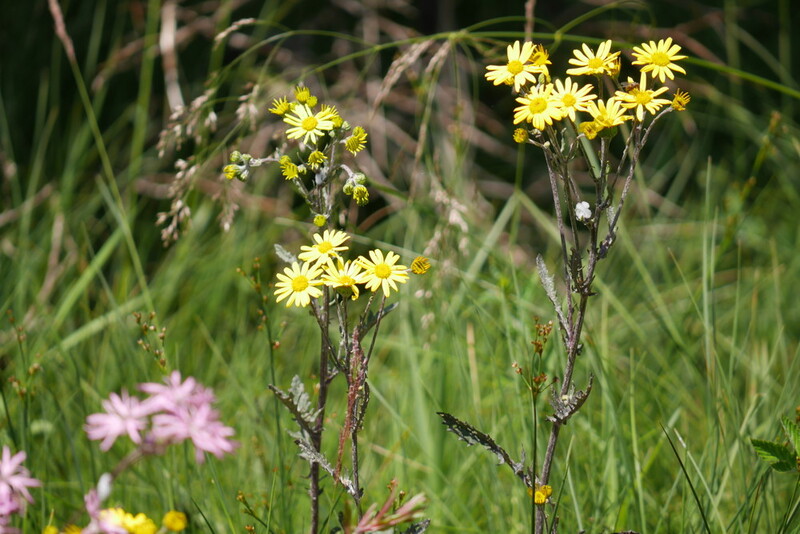 The summer daisies were just across the road … so many that I didn’t feel too guilty pinching a few. If you could always guarantee the weather not many people would go abroad for their holidays. House martins have been having a hard time nationally I believe. Ours were late arriving but have been selecting mates (shouting loudly seems to be a good ploy) and building nests. 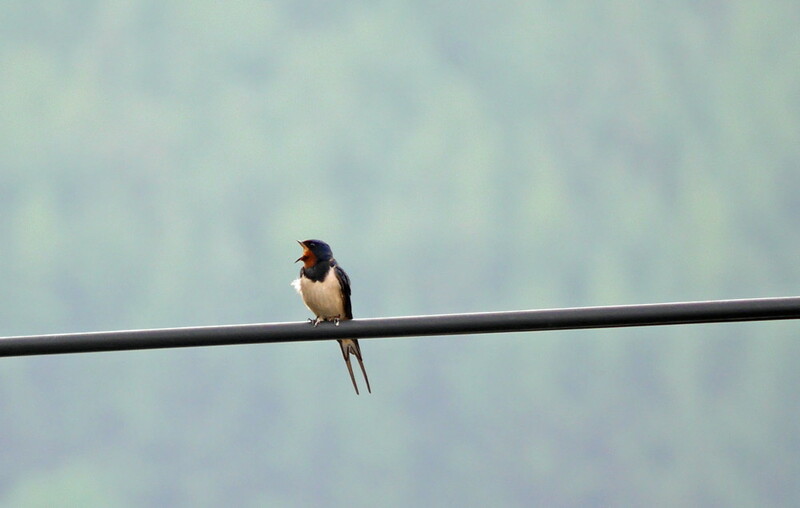 This one is actually a swallow that was in front of the Half House on a power cable. 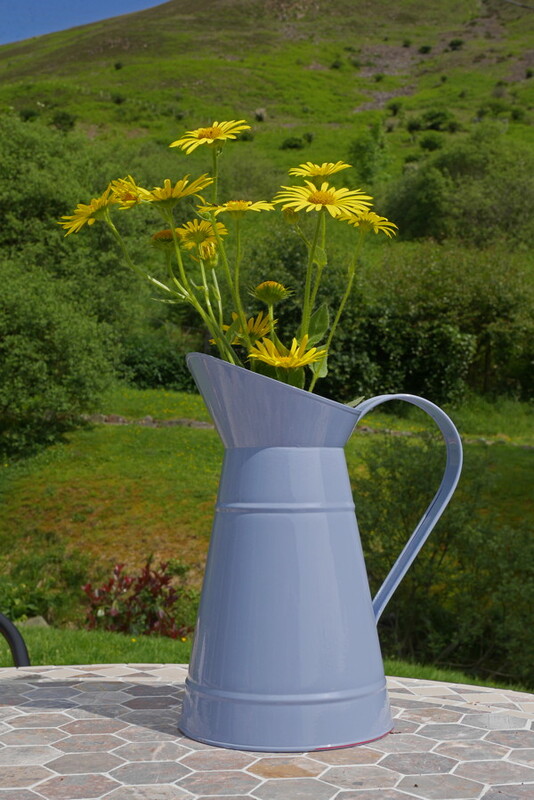 A gorgeous couple of weeks weatherise but a grey sky this morning. 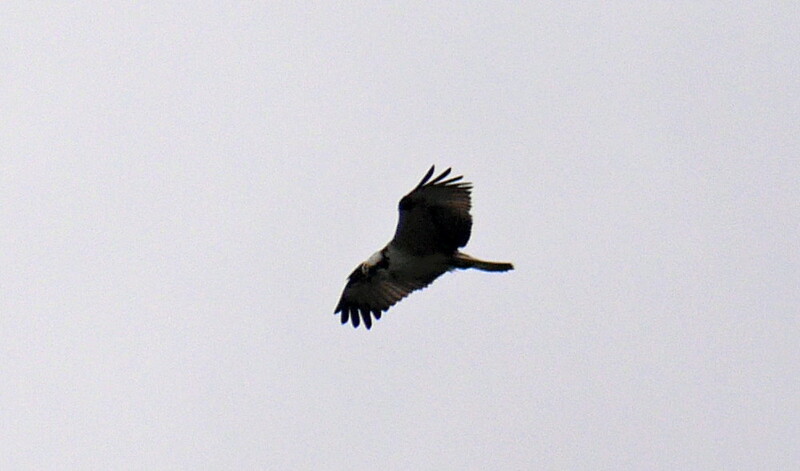 However, an osprey came out to entertain us just in front of the house. I had time to get the camera and snatched a quick shot. He/she has been around our section of the loch regularly over the past few days. They do cover quite a distance so there’s no saying where the actual nest may be. 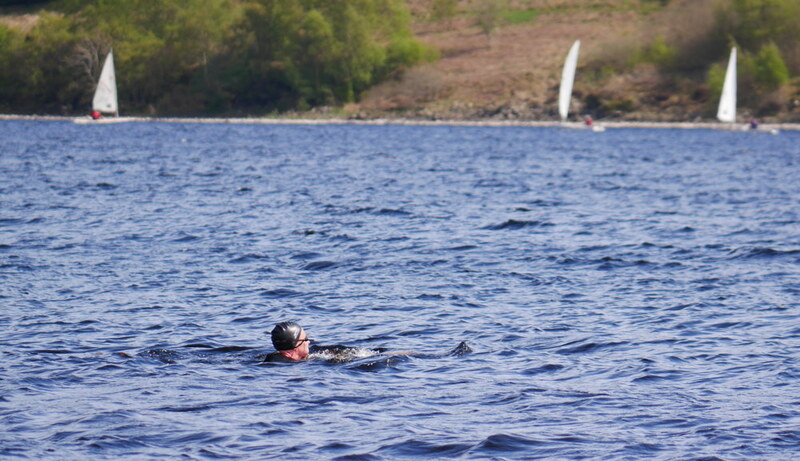 For some people just walking around the loch doesn’t offer that direct contact experience! Not for me, even with a wet suit! 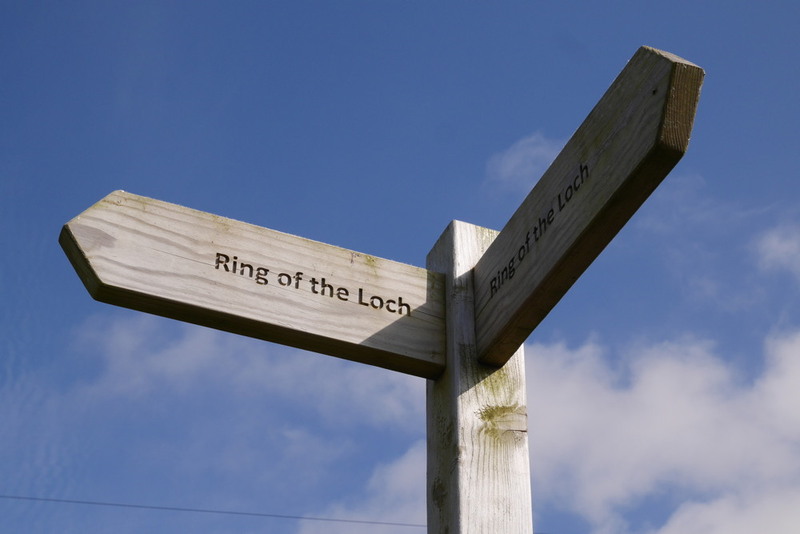 The ring of the loch circular walk sign post is just in front of the cottage. Not very sharp picture because it was through double glazing looking out to where we park our car. 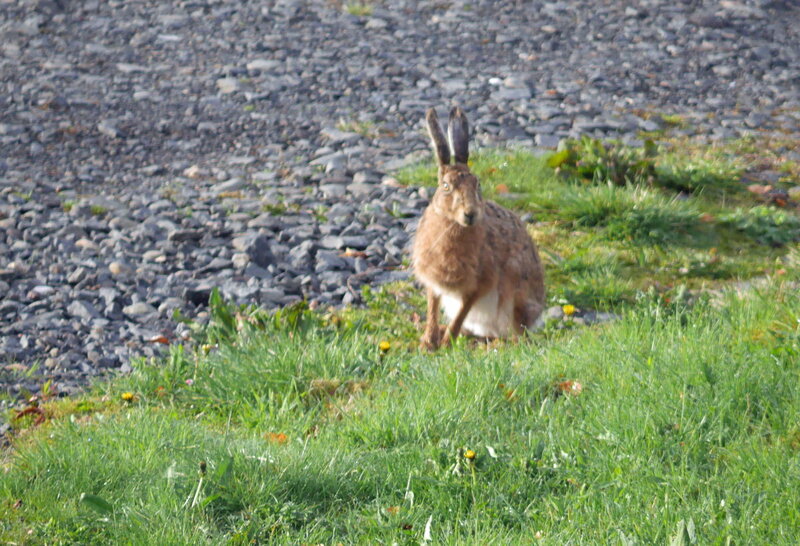 Very early this morning he was out eating the dandelions, which is no bad thing!